This time on Contrast CTRL we consider the electronic/RnB side of life through the talents of Mawule, Ghana-born and now based out of Denver, CO, Mawule is a rising star in his own right and implements the true staples of RnB and Electronics is a elegant fashion. Simple – The first track off of Chosen, Simple is a straight bass drop vocal track that sets the atmosphere and attack we can expect from this project. Most notably are how the bass lows don’t collide with the rest of the production thus giving a complete sound to what Mawule is wanting to accomplish. Lyrically Simple is about appreciating our position in life and making the most out of things and not complicating the daily process. Surely a message we all need to slow down and enjoy the Simple things. Anything – This is a quintessential RnB track of a man telling his woman that what she sees is what she gets. So we can’t promise anyone the world but we can promise the best of us. Working with DJ Zenas, Anything is a stand out track that features minimal instrumentation and bass lows that create this one on one conversational atmosphere. Get Your Name – Mawule approaches this song as a at first sight scenario. “Can I get your name? Girl I like your game” with lyrics like that it’s pretty obvious this girl captured his attention. With heavy use of electronics, Get Your Name is that club dance track you want on the playlist that provides the beats. Fall For Me – More of a trap style with the minimal beats but hard impact on bass, Fall For Me is presented with robotic textures and Mawule sporting the message of wanting someone to fall in love. A song like this I don’t think anyone can see a issue with that message ringing loud and true. 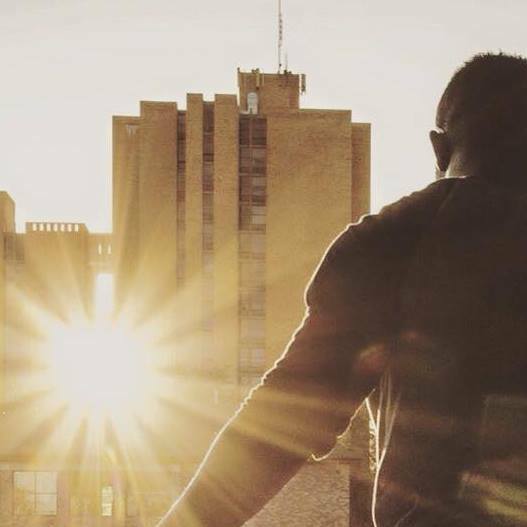 Working with another Denver, CO artist Jerney, who provides the swag and on time bars, Fall For Me is that great mix of hip hop and RnB that has been a staple in the worldwide music scene and executed amazingly on this song. Chosen is a collection of 9 promising songs that present a deeper message than most think. Taken from Mawule himself, he wants to impact lives, create musical landscapes and fun dance tracks that will only brighten the world and not darken it. Personal Favorite Tracks: Fall For Me, Simple, Anything, Live Again, A Wish, Get Your Name. Chosen, Contrast CTRL, Electro, Mawule, Music, RnB, Simple. Bookmark.